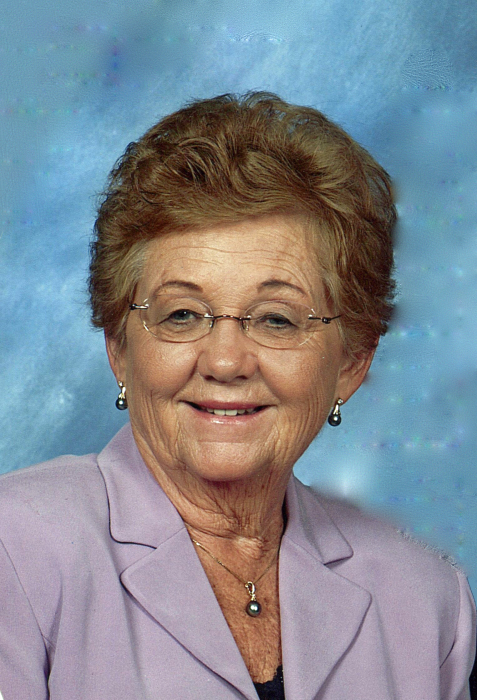 Funeral services for Delores R. Ost will be held at 10:30 AM on Saturday, February 2, 2019 at Grace Lutheran Church, Albert Lea, MN. Reverends Shane Koepke, Jennifer Gonsalves, Roger Haug, and Steve Berkeland will officiate. Visitation will take place from 5 – 7 PM on Friday at Bonnerup Funeral Service, Albert Lea, MN and again one hour prior to the service at the church. Interment will be in Graceland Cemetery. Delores Ruth Ost was born in Beulah, ND on May 14, 1936, the eighth child of David J. and Rosina (Unruh) Huber. She graduated from Beulah High and went on to earn a teaching degree from Minot State Teacher’s College. In school she was active in band, choir, drama, cheerleading for six years, and Tri Sigma Sorority in college. After graduating from college she married Milton Ost, also of Beulah, on June 10, 1956. Following their marriage she taught school in Clarksville and Dubuque, IA, where their first daughter, Sabrina, was born. Later, Milton and Delores were blessed with two more daughters, Catherine and Deborah. Delores taught school in Clarksville and Dubuque, IA, and later at a one-room country school in Napoleon, ND. She also taught elementary school in Jamestown, ND. When they came to Grace Lutheran Church in Albert Lea, she was active in bell choir, Sunday school, Circles, service committees such as Caring and Sharing, and Bible study groups. One of her special joys was teaming up with friend, Dorothy Baldwin, and a group of church women to begin the popular Grace Lutheran salad luncheon which has continued to run for forty-one years. Delores was a familiar Albert Lea walker, covering more than double the circumference of the globe after two decades of hiking around Albert Lea Lake. She and her husband also hiked up Mt. Sinai, down the Grand Canyon, up Ayers Rock in Australia, and across Diamond Head Crater in Honolulu. She also enjoyed a summer sabbatical doing an archeological dig in Caesarea, Israel where she and Milton explored the many biblical sites in the Holy Land and Egypt. She found delight, as well, in the many summer continuing education sessions that they attended at universities around the country, finding a walking trail at each one. Winters saw her cross-country skilling, knitting, crocheting, and enjoying the countless friends whom she deeply treasured in Grace Lutheran Church and all of Albert Lea. Delores was a cherished church member and friend, making a salad or a loaf of banana bread for whomever needed it. Her warmth, soft smile, and flowing kindness will be cherished by her friends and surviving members of her family. Her strong faith through joys and hurts served as model to many. Her gentle nature and quiet character were an inspiration to people in every walk of life wherever their service led them. She will be missed by many. Delores passed away on Saturday, January 26, 2019 at Thorne Crest Senior Living Community in Albert Lea. She was 82 years old. Delores is survived by her husband of 62 years, Milt Ost; daughters, Sabrina Preston, Rochester; Kate Ost and Tom Neisen, Maple Grove; and Deborah Durand and William Hobson, West Palm Beach, FL. She is survived as well by four grandchildren, Jay Saunders, Samuel Neisen, Cora Neisen, Kjirsten Durand and fiancé, Michael Johnson, four step-grandchildren, William Hobson III (Brittany), Jessica (Jon) Venick, Theresa Hobson, and Catherine “ Cece” Hobson, and four step-great-grandchildren; by three sisters, Irene (Gill) Edmiston, Alta (Lou) Coffin, and Wilma (Rudy) Kwak, and by nieces, nephews and many other relatives and friends. She was preceded in death by her parents, sisters Leona Milde and Betty Herman and their husbands Lane and Jerome, brothers Art, Oscar, and Ervin Huber, and by a twin brother and sister in infancy. In lieu of flowers, memorials are preferred to: Delores Ost Scholarship at Grace Lutheran or LENS (Lutheran Seminary in Russia).